Chief Nick Metz: "We remain heartbroken." 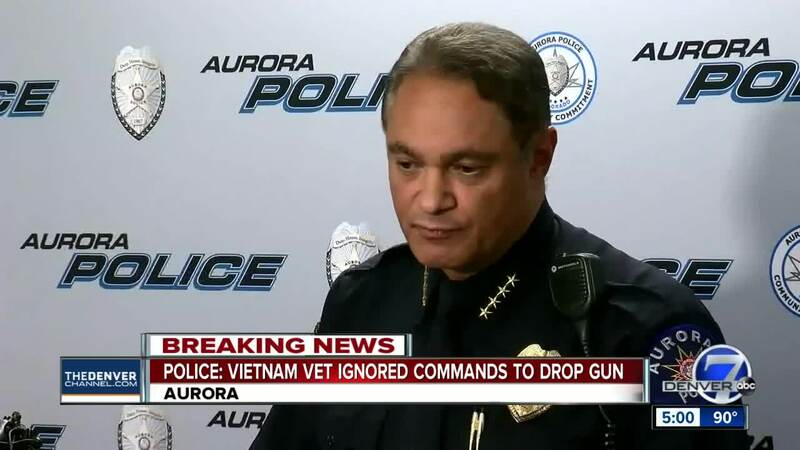 AURORA, Colo. – Police Chief Nick Metz held a news conference Thursday to try and clear up the mass of confusion surrounding the Monday morning Aurora police shooting that left a man dead who’d just killed an intruder. Though Metz did not release body camera video of the incident or the 911 call that the wife of 73-year-old Richard “Gary” Black Jr. made to dispatch, citing garbled audio and an ongoing investigation by the 17th Judicial District Attorney’s Office, he did describe what he says he has seen and heard on the tapes after “many, many” reviews, he said. Metz said that the family also requested that the 911 tape and body-worn camera videos not be released after about 10 family members reviewed them earlier Thursday during a meeting with police. --Watch the full press conference in the player below or by clicking here . The Monday morning police shooting left Black, a Bronze Star recipient and Vietnam veteran , dead. Black allegedly shot and killed the alleged intruder , 26-year-old Dajon Harper. According to the family and police , Harper broke into the family’s home early Monday morning and grabbed Chad Hayashi’s son. Hayashi awoke to Harper’s mother standing in his bedroom doorway telling him that her son was on drugs and had his son in the bathroom. Hayashi said in an exclusive interview Wednesday that Harper had grabbed his son and both were naked in a bathroom when he was awoken. Hayashi and his stepfather were able to fight Harper off the boy, who was allegedly being bitten and choked by Harper. Black allegedly shot Harper twice in the torso during the struggle, killing him. Hayashi said Wednesday that after Black shot Harper, he turned a corner inside the home and was shot by police, whom Hayashi and the family attorney say shot from outside the home. In the interview Wednesday, Hayashi, who is Black’s stepson, said that his stepfather was a “hero” and that if it hadn’t been for his actions that night, Hayashi’s family would be dead. Metz echoed those statements in Thursday’s news conference. And though Metz said that most 911 calls and body camera videos wouldn’t immediately be released, he did attempt to describe what he says he’d seen upon a review. Metz said that at one point, when Black’s wife was on the phone with dispatch, she was asked if there were weapons and she said no. Metz also said that there was never a physical description given of the suspect. 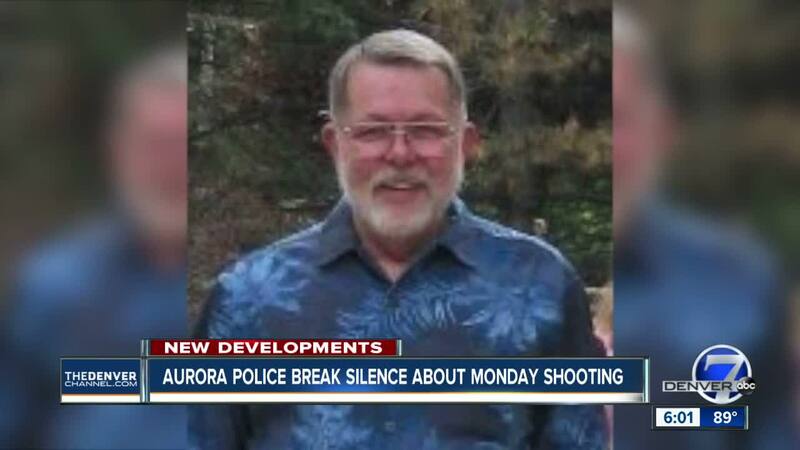 By Thursday evening, the Aurora Police Department released the 911 calls related to the shooting , with the exception of Mrs. Black's conversation with police. The released files include a 911 call of the suspect's mother with law enforcement. During the press conference, Metz says that on the body camera footage that he’s seen, the entire incident happened in 2 minutes and 20 seconds, from when officers arrived on scene to when they made it to the bathroom and saw Harper dead on the floor. Metz said that Black’s wife is seen on the video telling one officer going up to the house that, “He has a gun.” Seconds later, according to Metz, shots are fired from inside the house and officers step back from the door. Then, Metz said, officers see Black emerge from behind a wall about 15-20 feet from their location outside of the front door of the home. Metz said the officers see Black walk back and forth between doors in the video and that he was holding a gun and a flashlight. Thursday’s news conference came after Metz said in a video statement Wednesday that “much of” the information that has been reported about the shooting so far “has been inaccurate.” That statement came days after Metz said in an APD news release that the scene at the home on Montview Boulevard that morning was “very chaotic and violent.” Both Hayashi and the family’s attorney, Siddhartha Rathod, had questioned that characterization of the scene that night. Hayashi said Wednesday he wants Aurora police to release body camera footage from every officer at the scene that day. And after learning that the officer had been involved in a shooting in late June , Hayashi said he doesn’t think the officer who shot his stepfather should have been there that night in the first place. 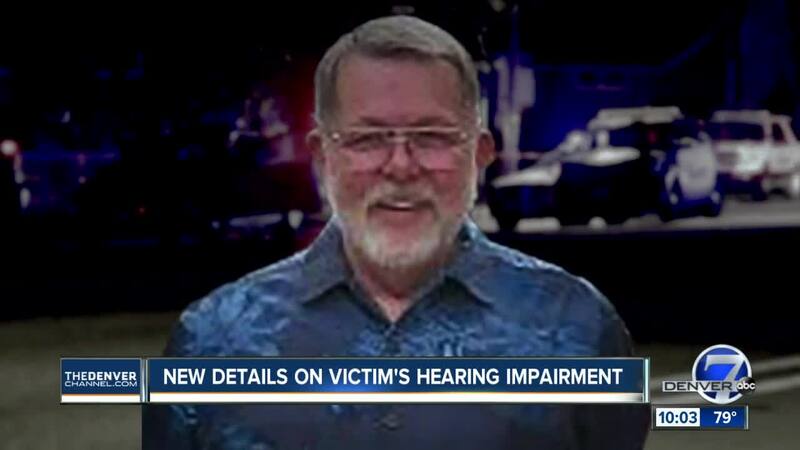 But Metz said at Thursday’s news conference that Hayashi and other members of Black’s family had asked that the body camera video and 911 call not be immediately released after reviewing them themselves. Metz also said the family acknowledged that officers at the scene did not receive a description of Harper in the original call-outs. He said that Black’s family has asked that people not “disrespect” law enforcement in Black’s name after learning, as Metz claimed, that some APD officers had received threats after Monday’s shooting. Metz additionally said the officer who shot Black, who was involved in another police shooting on June 27, is “heartbroken” after finding out that Black was a veteran, as he is also a veteran. The officer, who has not been named, has been with APD for three years and works the graveyard shift, Metz said. Metz said the officer was psychologically evaluated and went through other evaluations before being allowed back onto the job. “We can’t control what our officers are going to run into,” Metz said when asked about the time between the first shooting and when the officer was allowed back on duty. The Adams County Coroner’s Office on Wednesday night identified Harper as the suspect in the home break-in. According to the Denver District Attorney’s Office, he had previously pleaded guilty to possession of a weapon by a previous offender. Metz said Harper was at a party across the street and damaged several cars before entering Black’s home, apparently at random. And though his mother told Hayashi Harper was on drugs and a caller said that as well, according to Metz, the toxicology screenings won’t confirm whether that was the case for at least six weeks. Metz said it’s been “incredibly frustrating” to not be able to release more information about the shooting, but said he has spoken with the district attorney’s office and that is the path they decided to take. It’s unclear how soon more information about the case will be released, as the joint investigation into the shooting is ongoing.